Welcome to Fun Family Crafts! 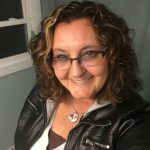 I’m Amanda Formaro, and this site was born initially as a place to showcase the hundreds of kid’s craft projects I have created over the years for various websites and magazines. I have been creating craft projects on the Internet for 20 years and as time passed it seemed they were spread far and wide. After creating my craft blog Crafts by Amanda in 2008 and working for several other craft related sites, I kept thinking how nice it would be to have all my kid’s crafts linked from one place, as a portfolio of sorts. It was at that moment that I realized that this could be a great resource for others. There are so many great kid’s craft ideas out there. This could be a wonderful way to feature them and put them all in one place. And so Fun Family Crafts was born. At Fun Family Crafts, we only link to other projects; posts will not be reprinted. Therefore, crafters can feel secure in knowing that features here will mean more exposure coming their way. Visitors will enjoy a one stop shop type site that will host the best kid’s crafts around. 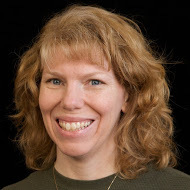 Cindy deRosier has an MA in education and is a former school teacher. She’s a creative mom with a passion for crafts and is always out searching for more to share with you! Cindy works tirelessly to bring you thousands of kid friendly craft project ideas each year. There are currently over 10,000 projects featured here thanks largely in part to Cindy’s dedication. You can also visit Cindy on her blog. I hope you enjoy your stay at Fun Family Crafts!